The following review is not sponsored by anyone. I am not being paid for my thoughts. I purchased this product myself. I'm a nursing mom of 2 and I'm not interested in being a mom of 3 right now. I can admit that. However, I haven't been very impressed or successful with most of the current methods of birth control available to me. Birth control pills/rings and patches make me nauseous and moody. I'm not a candidate for the copper IUD (besides it scares me), no shot (I like to make sure my cycle is regular every month) and I'm not willing to have my tubes slashed or burned. So, what's left? Condoms, sponges, diaphragms and abstinence? Yay? Although, Lambskin condoms really work well when you're only trying to prevent pregnancy...but they are so darn expensive. So, I've been researching my options since I began nursing An Urban Tot in 2013. At the time there was talk that a new diaphragm was about to hit the market in the US: The Caya. In the meantime - eBay and a few pharmacies overseas offered to ship it for around $250 + shipping. 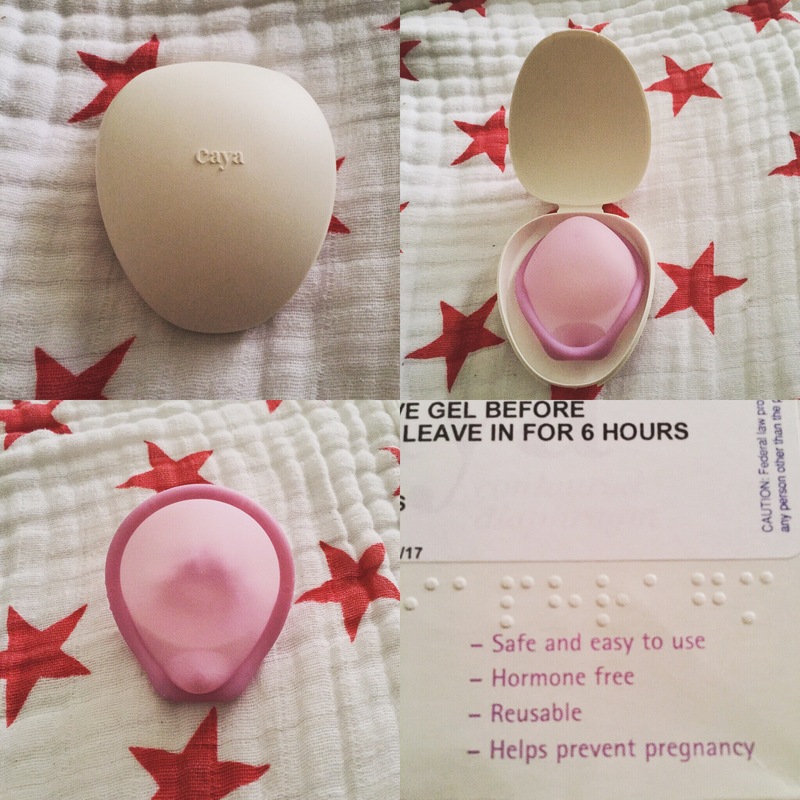 In 2014 the FDA approved the use of the Caya here in the US and by late 2014 - it was legal to get one with a prescription from your doc. The overseas companies dropped the price to $80 for folks who didn't want to go through their doc. Besides - No pharmacies in the US carried them. Still - in 2016 the options for pharmacies are very limited. I used the American Mail Order Pharmacy. I had my doc fax the script (I had her measure me at my 6 week post-partum appt). I faxed in my order form soon after (it was a Friday). Monday they called to confirm my order and my insurance.. Here is where it got tricky. According to our prescription formulary - the Caya was indeed covered in full with no copy (thanks OBAMA!) but for some reason it kept being denied. I went ahead and let AMOP run the $80 on my credit card and called HR. Sure enough, the Caya should have been covered. HR put in an override and I got my Caya covered 100% (minus $5 for shipping) minutes later. That was on Tuesday. I recieved my Caya on Wednesday. AMOP is local to me, but still - that's fast shipping. I'm still waiting for my Contragel to arrive from Germany so I haven't tried the Caya yet.. But it looks nice. Now... When used correctly with a contraceptive gel - the Caya is about 94% effective against pregnancy.